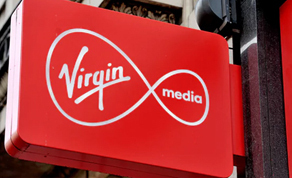 Friday 22rd July 2016 – The CEO of Virgin Media Ireland, Tony Hanway, has said the Government and the private sector will have to take collective steps to ensure Ireland’s continued success as a global hub for innovation. Addressing the MacGill Summer School in Glenties, Co. Donegal today, Mr Hanway said failure by the Government or the private sector to continue to invest in critical communications networks, or investing too slowly to be globally competitive, will hold Ireland back. "For this to happen, we need to work together on a clearly defined national broadband strategy that has to be aligned across national and local authorities. Virgin Media fully supports the National Broadband Plan which will be a game changer for Ireland. As market leader in high speed connectivity, we have first-hand experience of the benefits high speed broadband can bring to communities across Ireland.” he told the conference in Donegal. “The broadband infrastructure that connects our villages, towns and cities is every bit as important as the roads and railways that form our transport network. If we get it right, Ireland can be right up there with the best in Europe in terms of being an attractive place to live, work and invest.” Mr Hanway noted.